Disclosure: I was sent a copy of these products in exchange for an honest review. All opinions are my own. Today I am sharing some fun products that I have been meaning to share for several weeks, but due to outside aggrievation and life I haven't had the time and energy to write a good review for you. Sorry! Today we are going to look at some resource about space and space exploration. We will start with To the Moon! by Jeffrey Kluger wiht Ruby Shamir. 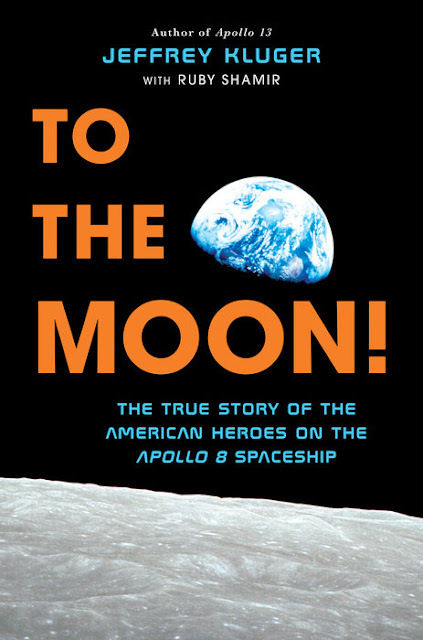 This book shares the journey in the space race that Apollo 8 played. It tells the in depth details of the trip Frank Borman, Jim Lovell, and Bill Anders made to the moon. They were the first humans to see the moon up close, although they did not walk on it. That would come later. Their flight let Americans know we could reach the moon. This book has all the details about space travel. 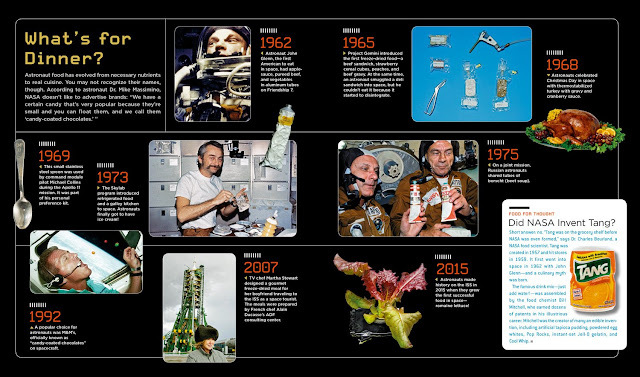 It includes what leads up to the flight, and the work and science involved as well as what the astronauts themselves experience being in space for days. This story is exciting and interesting. It draws the reader in and takes us back to a time when space travel was new. It gives the reader a first hand look at the work of NASA and the experience of the astronauts. It is recommended for ages 10+. 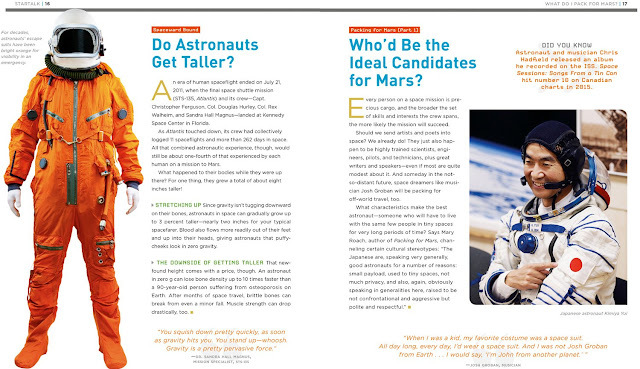 It will draw both male and female readers in and the details are answering so many questions one might have about being an astronaut and what it is really like. I love the science mixed in as well as the history. It is a great book! 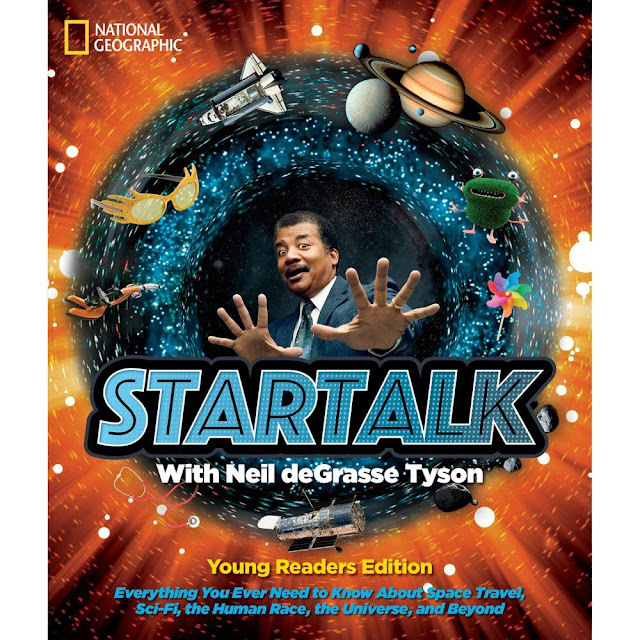 Our next book is StarTalk Young Readers Edition by Neil deGrasse Tyson. 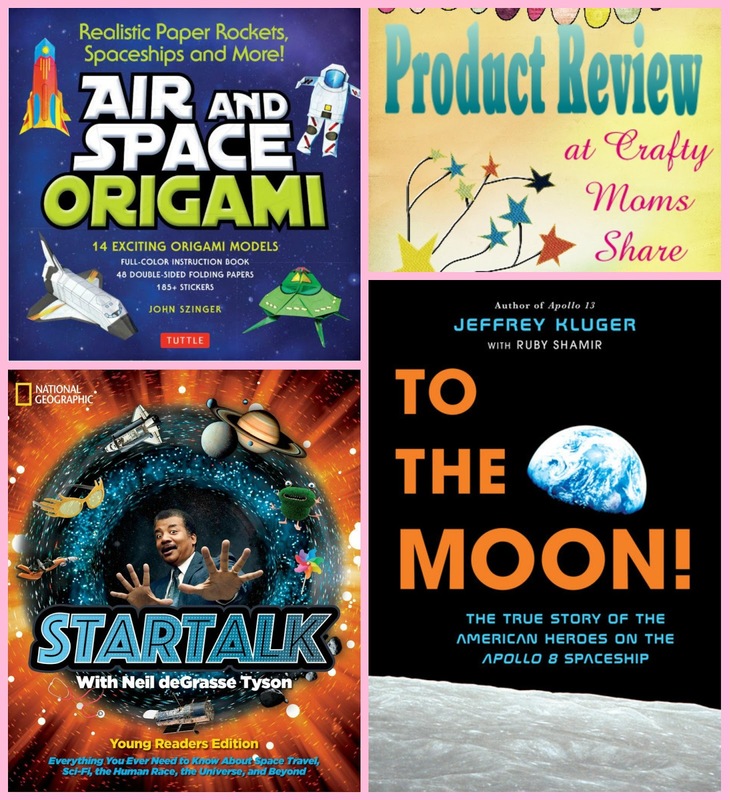 This book takes some of the best episodes of Neil deGrasse Tyson's StarTalk podcast and makes the science fun and reachable to kids. The book has four sections: Space, Planet Earth, Being Human and Futures Imagined. 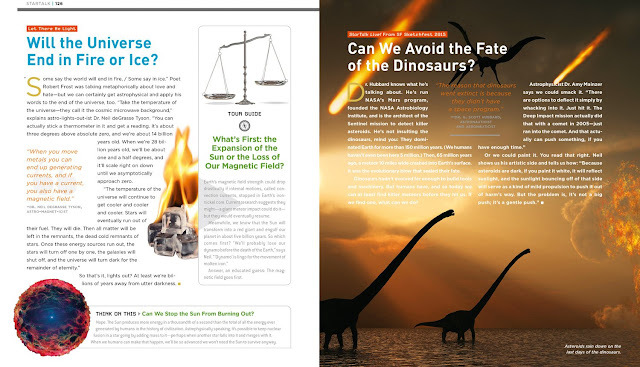 Each section is full of chapters that help you grasp all sorts of science and information in a fun manner and with amazing photographs. It has intresting facts like that astronauts do get taller, but this is due to their bones stretching and thus losing bone mass. It also shares information from the Apollo 8 mission as well as many others. It shares the importance of Apollo 8 as well as the Earthwise photograph taken on the mission. It goes beyond space and looks at Earth. It asnwers things like where do we get water from, and more. Then human beings are explored with things like creativity looked at--where does it come from--to elements about nutrition and food. There is so much in this book to explore that it will be read and reread in small doses to really understand it all. In true National Geographic style, the photographs are beautiful and amazing. The information is provided in fun manners. I would say this book is good for kids aged 9 and up. I cannot find an official age suggestion. However Steve looked at it and really enjoyed it. He thought it was very well done. He loves space and I often run our space and star books by him. 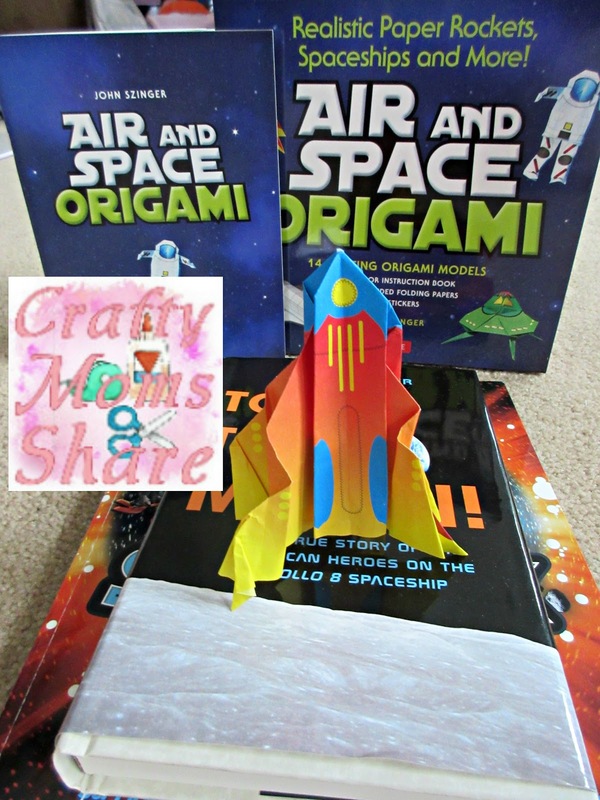 Our final product for tonight is a fun Air and Space Origami Kit by John Szinger. 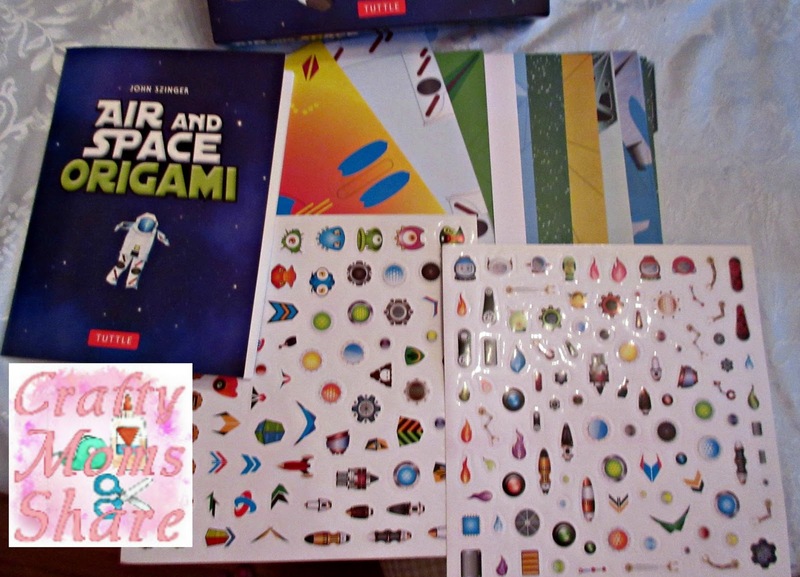 The box includes an instruction book, 48 pages of paper (printed with the designs for the projects in the book), and two pages of stickers. The origami pages are double sided and as I mentioned colored for the various projects. 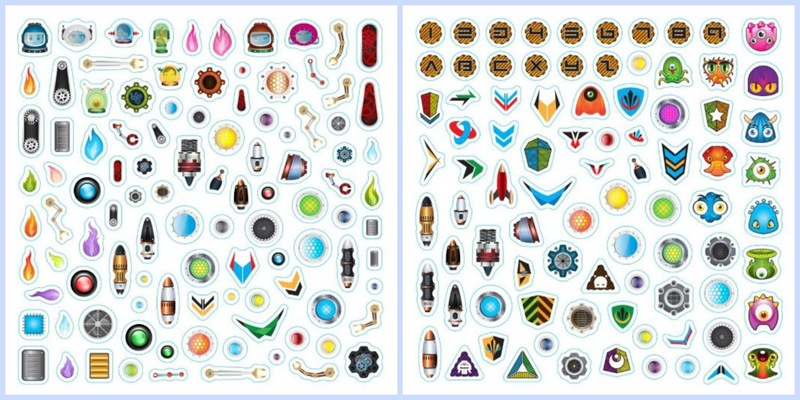 Some of the pictures below show both sides of one paper. The projects vary from airplanes to rockets and astronauts and more. As you can see some the projects are very realistic and some are pretend like the flying saucer. The instructions are clear in the book for the most part. I tried the Art Deco Rocket and it came out pretty well, but I will admit to doing it a bit too quickly. The kit also comes with two pages of stickers to decorate your creations (or maybe to hold in my bad folds). One of the unique things this book has is a little bit about the adventure of flight and how it has developed. Usually origami books only have instructions on making the projects. This is a fun kit and has some unique projects. 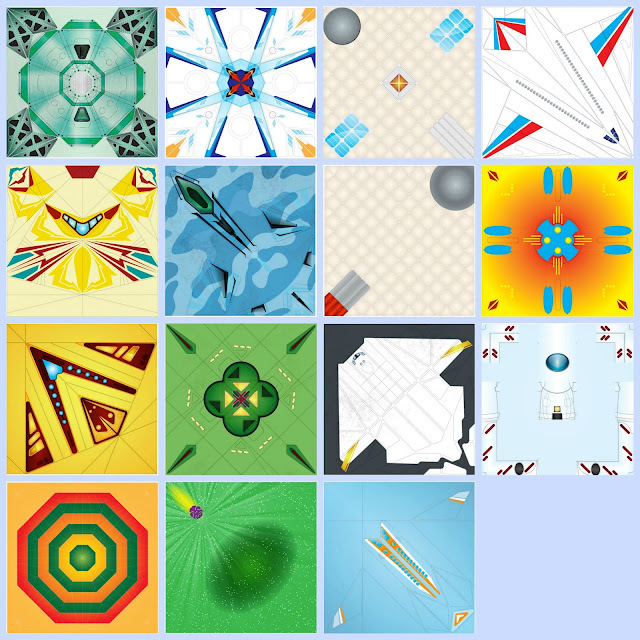 I love that you can make astronauts, rockets, and space shuttles as well as jets, planes and a hot air balloon. It truly looks at all sorts of flight that we humans have tried. Overall I find these three resources great for any unit on space and science or just to have fun. I hope you will check them out!